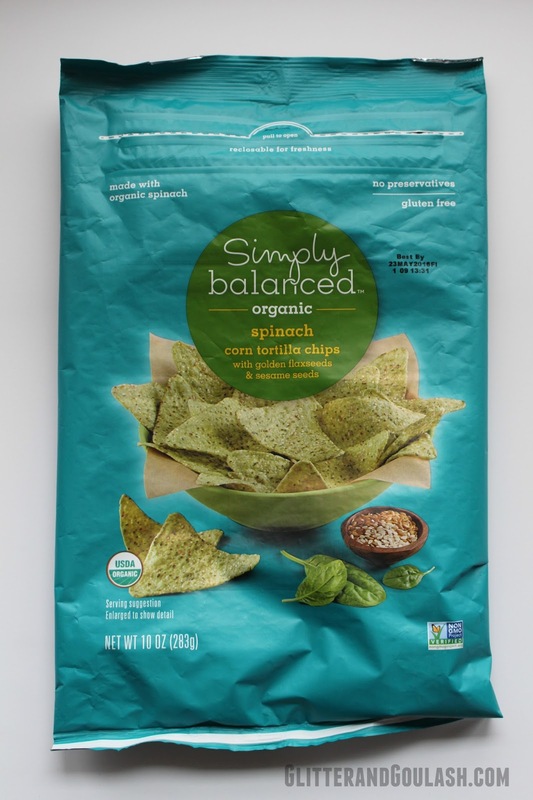 Need a break from the traditional cold lunch that you pack for your kiddos? Well, St. Patrick’s Day is the perfect day to do that! 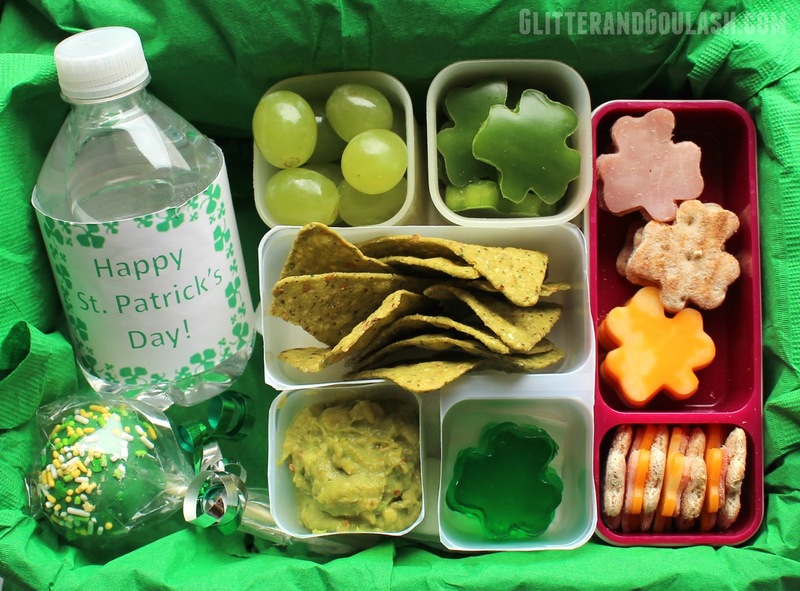 Doing a fun ” Shamrock” or “green themed” cold lunch for them on St. Patrick’s Day will put an extra spring in their step and a smile on their face. Your son/daughter will be delighted when they open their lunch and see all of the yummy festive treats inside. Not only does it look fun, but I think they will agree that it is also delicious. Using something as simple as a cookie cutter can really make a lunch come alive and make it something special. You can turn an ordinary piece of cheese into shamrock, how fun is that? I have always loved the concept of the “lunchables” that they sell in stores. I have not been a big fan however, of the price or of all of the preservatives that go into them. This is a homemade version of those with the added benefit of having some fun shapes to celebrate the holiday. I used a shamrock cookie cutter to cut out ham and cheddar jack cheese. I also cut shamrocks out of Brownberry Sandwich Thins. 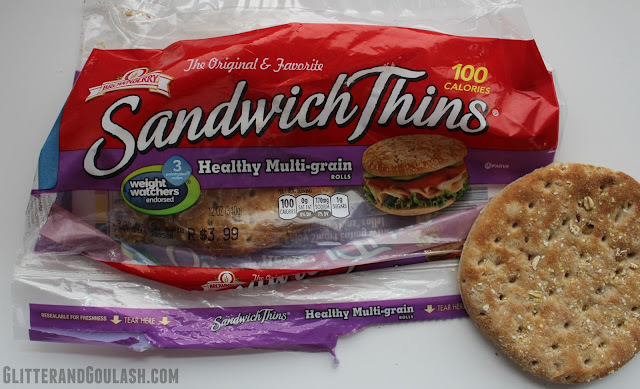 These sandwich thins are one of my latest finds in the quest to make school lunches new and exciting. My daughters love them. Sometimes just switching out the bread is all they need to make lunch exciting again. For something sweet, the Shamrock Jello Jigglers and a Leprechaun Green Velvet Cake Pop that we made in earlier posts were added. These two items can be made in advanced and thrown in the lunch that morning. Cake and jello…does life get better? For some more added “green effect”, I added some green grapes and green peppers cut out with my shamrock cookie cutter. Lastly, I have added a mini bottle of water wrapped in a fun little greeting for St. Patrick’s Day. Extra Tip: If you do not happen to have a shamrock cookie cutter laying around your house, don’t fret!! You can still make a fun lunch for your kiddos. Simply stick with the “green” theme. Cut your jigglers and cheese/ meat/ bread into squares and your green peppers into slices! Your kids will still see the effort and love that you put into giving them a special lunch!